Hello I'm selling my 91 Miata. One of a kind. It currently has a 1.8L swap with a Megasquirt. 3 inch lift with 15 inch wheels wrapped with 27 inch General Grabber tires. 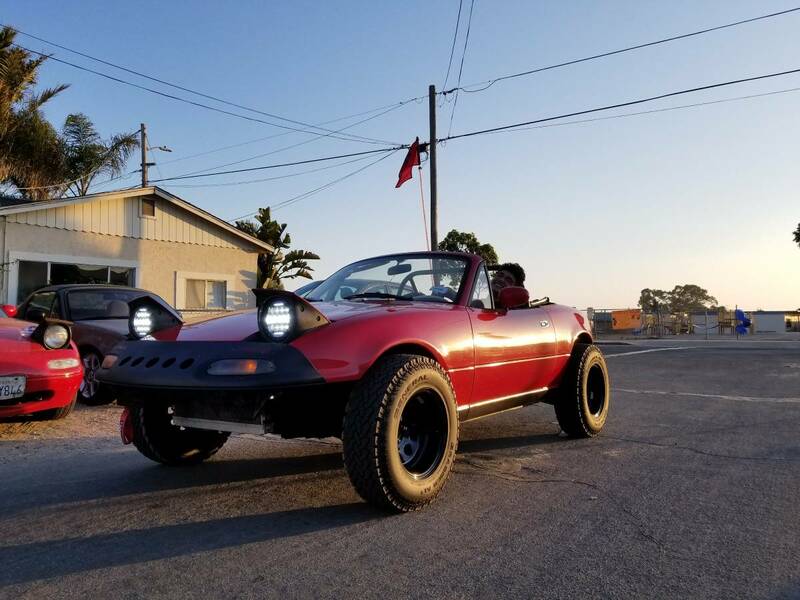 It has a sick blast pipe with a roll bar ,Street faction rear bash bar, Street faction seat rail,A MOMO authentic seat with Momo steering wheel and detachable hub. Also comes with a 5 foot L.E.D whip, 34 inch L.E.D Bar and 7 inch round L.E.D Jeep head lights. 1.8l brake and caliper swap,Diamond Wheels, Smoked turn signals. This car turns heads and is awesome on the streets,dirt roads and the dunes. It's ready for a turbo set up if you want to go that route also. That Saab the other day is soo much better done than this. Needs either smaller tires or bigger fenders if you drive it over anything bigger than a speed bump. 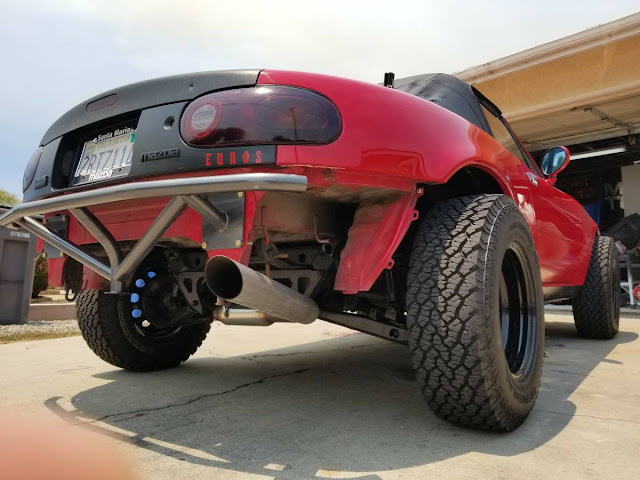 3 inches of suspension travel then goodbye fenders. Fun idea if done right I suppose.